Whenever the occasion arises, I hardly miss the opportunity to rock a bold lip color. There is just something about sporting a bright lip color that feels so liberating and empowering. It's a great feeling, really. When I found out that Maybelline released their new line of Color Sensational® Vivids lipsticks, I was intent on trying a few. 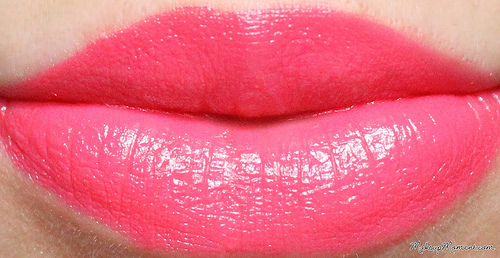 The Vivids line is like a bright lipstick lover's dream! It's comprised of a selection of showstopping brights, that will get you noticed wherever you go. After some searching, I finally spotted a display of the Vivids lipsticks over at my local Duane Reade Store a few weeks ago, and although I was tempted to get all the shades (they are super pretty, it's so hard to resist! 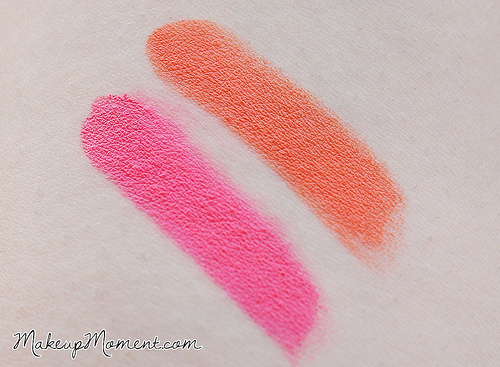 ), I decided on the two that stood out to me most; shocking coral-a gorgeous coral pink, and electric orange-a bright, subdued orange ($7.99, each). 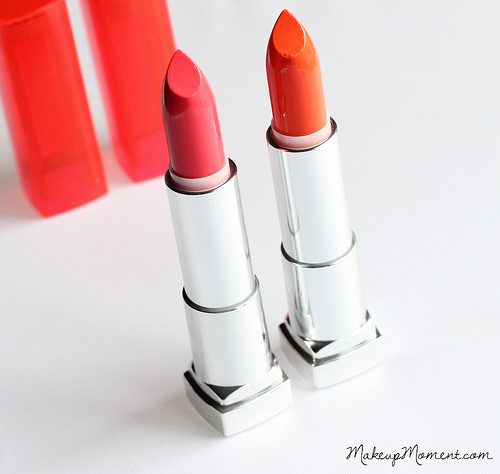 Maybelline's Vivids lipsticks pack a nice punch in the pigment department. These beauties were made to stand out-and that, they do well. 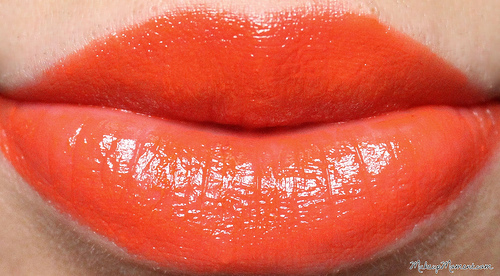 Although bright, these lipsticks are easy to wear. They are bright, but not to the point where the color looks too overbearing. The color is easily buildable, so it's pretty easy to get the intensity that you desire. There is a very sweet fragrance to these lipsticks. I don't find the scent to be overwhelming one bit. In fact, I kind of like it. The sweet scent does dissipate after awhile, though. I love how creamy the lipsticks are. 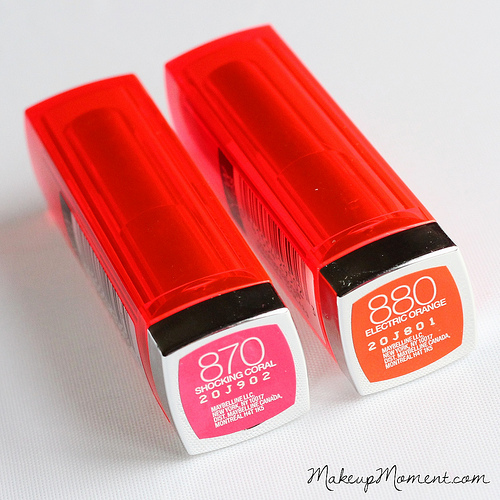 They glide nicely on the lips, but if you have any dryness or flakes going on, these lip colors will enhance them. As with all lipsticks-especially brights, I suggest properly exfoliating and prepping the lips before application, in order to obtain the smoothest looking results. 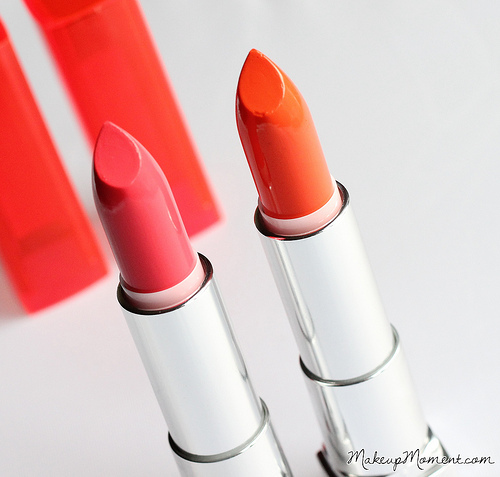 These lipsticks impart a pretty shine, which compliments the creamy finish beautifully. Makes for a nice touch. When it comes to lasting power, it's not until the 3-4 hour mark that I start to see some fading taking place. But, I do notice that these do leave behind a light stain. Overall: If you love bright lipsticks, or if you're looking to step out of your comfort zone and are itching to try out a bright lip color without spending a whole lot, I suggest looking into Maybelline's Vivids lipstick line. I think you all may really like these. I have to say, it's so refreshing to see bright lip colors available in drugstores, as it's not often that I spot insanely colorful lipsticks like these. I am most definitely going back to pick up some more of these Vivids. I am hooked! 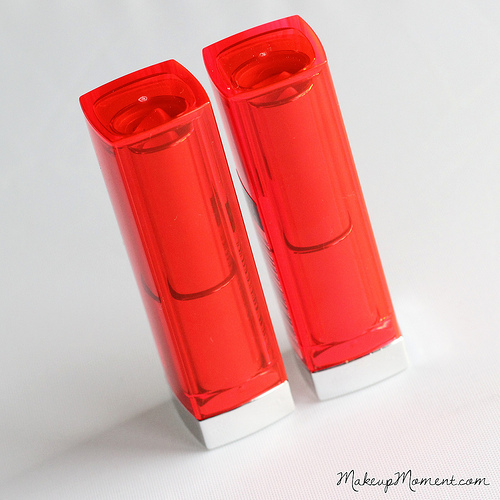 What do you all think of Maybelline's Vivids lipsticks? Which are your favorite shades? SHOCKING CORAL IS SO PURTY. So is Electric. Oh my lanta why are they so pretty! I'm on beauty spending ban, this certainly didn't make that easy! LOL Great review and I love he photos! I love these! Great photos.